Practicing a regular, mindful breathing exercise can be calming and energizing and can even help with stress-related health problems ranging from panic attacks to digestive disorders. That’s a pretty amazing claim! 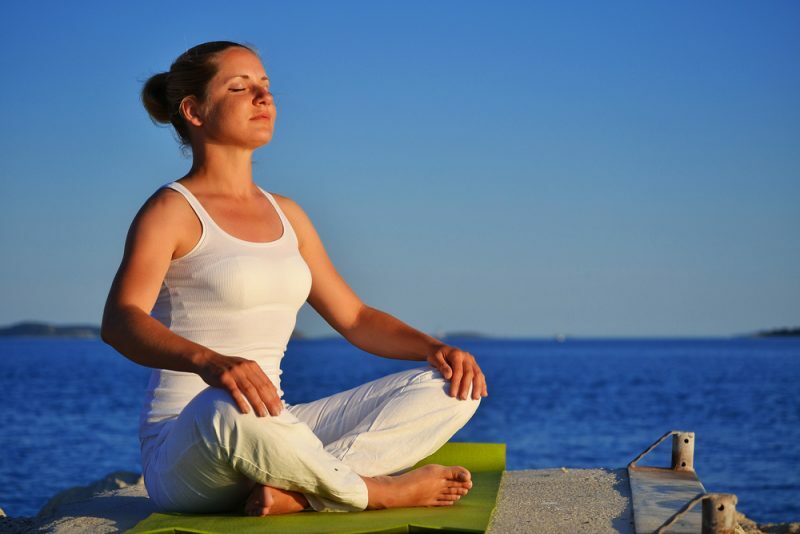 Here are 10 of the best yoga breathing exercises that you can do on or off the yoga mat. Remember, you don’t have to be a yoga expert to give any of these exercises a try. This breathing exercise is great for beginners and is very calming. It’s a great option for those who are prone to anxiety, especially in public settings. This breathing exercise is so inconspicuous there is no reason why you couldn’t practice it at work, during your commute, or while standing in a stressful crowd. To begin, sit or stand with your back straight. If you are able to sit down and elevate your hips above your knees with a blanket or meditation pillow, that is preferred as it is more relaxing. You can also sit with your back against a wall if you really want to feel supported. While breathing in, keep your tongue poised just against the gum line on your front teeth, and be sure to inhale through your nose and exhale through your mouth. Exhale completely making an audible sigh (you can exhale more quietly if you’re in public). Close your mouth. Inhale through the nose and count to four. Retain the breath and count to seven. Exhale through the mouth and count to eight. This completes one cycle of the breathing exercise. Repeat four to five times no more than twice per day. This powerful breathing exercise is a natural tranquilizer for the nervous system. If you have a lot of pent up stress or need a quick burst of energy, lion’s breath should be your go-to exercise! This simple breathing exercise is also used to strengthen the fine muscles of the neck and face, making it a natural yogic face-lift. Lion’s breath is also a very simple breathing exercise that doesn’t require any counting or breath retention, so it’s perfect for complete beginners or children. Exhale all of the air out of your lungs. Inhale deeply through your nose, tilt your head back slightly, and open your mouth super wide and stick your tongue out while exhaling loudly. Feel free to roar like a lion when exhaling! The audible release is what makes this breathing exercise powerful. Practice this while sitting down or standing, and try raising your arms up in cactus while inhaling. Lower them down on the exhale. This syncing of the body and breath can strengthen your vagus nerve, and make you more resilient to stress over time. If you have ever braved a Bikram yoga class, you are likely familiar with breath of fire! This powerful breathing technique works by rapidly draining old, stale air from your lungs and invigorates your body with fresh oxygen. There is no doubt this breathing exercise will flood your body with natural feel-good natural chemicals and the increase in oxygen can actually help your body dispose of cancer cells. This breathing exercise is a little more advanced; do not practice it if you reverse breathe. Reverse breathing is a very common phenomenon among pranayama beginners. Many people breath very shallow, only utilizing the upper portion of the lungs. Before doing this breathing exercise, make sure you are inhaling from the bottom of the lungs to the top, and exhaling from the top of the lungs down. One helpful thing to imagine is a pitcher of water filling up with water, and then being poured out. Begin practicing for just 1-3 minutes at a time. This practice can make you dizzy, so it’s best done at home or in a safe space. Sit on a folded blanket or meditation pillow so that your hips are elevated above your knees and your back is aligned with it’s natural curves. Hands sit comfortable and loose on your knees. Close your eyes and exhale completely. Feel your belly expand and contract on inhale. Focus on the sensation. Use the diaphragm (located just above the belly button at the solar plexus) to quickly pump the breath in and out. You can start by panting like a dog with your mouth open, then close your mouth and pump the breath through your nose. This is a great way to get started! Keep in mind – this breathing exercise is not meant for children, menstruating women, or pregnant women. To begin, sit on a folded blanket or meditation pillow so that your hips are elevated above your knees and your back is aligned with its natural curves. Place your hand on your lower belly. Breathe normally focusing on the expansion of the lower belly. When you’re ready, raise your arms above your head to make a Y-shape and place your hands in whatever mudra you like. Quickly contract and pump your belly to push bursts of air in and out. Do this for 10-15 breaths and stop. This is 1 cycle. Repeat 25-30 cycles at first, and gradually go up to as many as 100 cycles! According to Do You Yoga, this breathing exercise is beneficial for “insomnia, anxiety, stress, and frustrating situations.” It’s also very easy to practice both on and off the mat. Three-part breathing also calms your mind and muscles, so you can do it safely before bed or before practicing yin or restorative yoga. Sit in a comfortable position or lay down in constructive rest with the knees bent. Inhale into your upper chest, and then expand the air into your belly. Your belly should feel like a big balloon. Exhale from the belly first, then the upper lungs. Repeat as needed. Be sure that the breath is smooth and comfortable. Here is another common yogic breathing exercise. This breathing exercise is safe for yogis of all levels and ages, so it is a common addition to the end or beginning of many yoga classes. This breath is perfect for calming your nervous system while simultaneously giving you lots of energy. This breathing exercise clears the channels of the body and makes your brain perk up as if you just had a cup of coffee! For that reason, you probably do not want to practice it before bed. Sit on a folded blanket or meditation pillow so that your hips are elevated above your knees and your back is aligned with it’s natural curves. You can sit against a wall with a yoga block behind your back for extra support. Take your dominant hand and fold your middle finger and index finger down. Your hand will look a little bit like a “hang loose” sign. Close one nostril with your thumb, then inhale deeply through the nose. Pinch both nostrils shut using your thumb and other 2 fingers. Retain the breath for just a moment, then release the thumb and exhale completely. Repeat this for up to 5 minutes if needed. Here’s another breathing technique to give you a boost of energy! This breathing exercise clears your mind and can help get rid of brain fog. 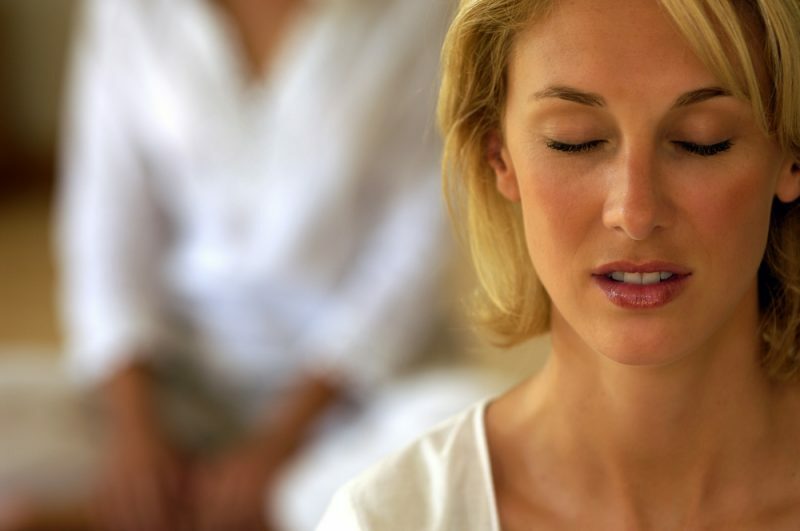 According to the Chopra Center, this breathing exercise can also help speed up digestion and boost your metabolism. Both wonderful things if you are trying to lose weight. Inhale deeply, making your belly stick out like a big Buddha. Exhale forcefully through your nose. Follow with a forceful inhale. Keep your head, chest, neck, and arms still while practicing this exercise. You may also want to sit on a meditation pillow or folded blanket. Do 3 rounds of 10 breaths, with a short 30 second break inbetween. If you have ever been to a Vinyasa yoga class, you have ikely heard the teacher mention ujjayi breathing. Perhaps you have even heard other students doing it! 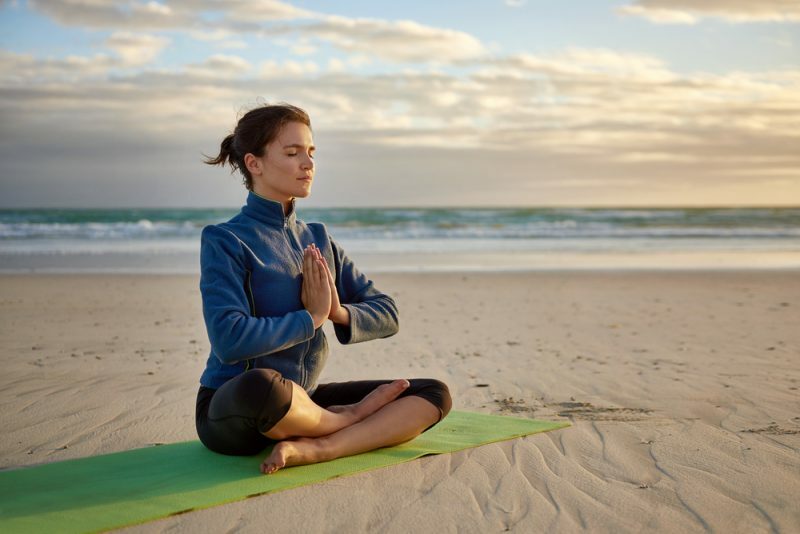 “Ujjayi” is a Sanskrit word meaning “the ocean breath.” Unlike other types of breathing exercises, this one is really only done while practicing yoga. Both the exhale and inhale should be through the nose. Exhale slowly and contract your throat muscles. The exhale should sound like a gentle “HAAAAH.” The breath should be so subtle it will likely only be audible to you. If it is loud, you might want to exhale a little more gently. If you have experimented with yogic breath work and felt the benefits, you are likely sold on the power of Pranayama. If you are ready to take things to the next level, consider this Shamanic breath work technique from The Sacred Science. Shamanic breath work is incredible. No matter who you are, you have likely experienced stressful if not traumatic events in your life. It is an inevitable part of the human experience. Many times people hold this stress and trauma within the diaphragm. It is very common for people with PTSD to have a lifted diaphragm due to stress. One of the best ways to release stored trauma in the body is with breath work. Doing so allows you to process the challenging emotions in a safe space and integrate the feelings and lessons into your present being. Lay on your back with a blanket under your head and a pillow under your knees. Make sure your chin is level and not jutting out. If the room is chilly, place a blanket over your body. Set a timer for 20 minutes. Take several slow, deep breathes. Tune in to your breath and let the rest of the world fall away. Consistently breath in and out. Leave no gaps between breaths. As soon as one breath ends, immediately begin the next. Speed up the breathing as fast as you can. You will likely begin to enter a dizzy, trance-like state. Breathing in and out through the mouth if you are looking for more emotional release. After 10-15 minutes you might feel tingling. When 20 minutes is up, stay lying down and let your breath relax to normal. If possible, try this with a trusted person who can be there to support you. Stay lying down for at least 10 minutes. Integrate the feelings that came up into your conscious state and slowly come back to the room. One breath work expert taking the world by storm is Wim Hof, a.k.a. 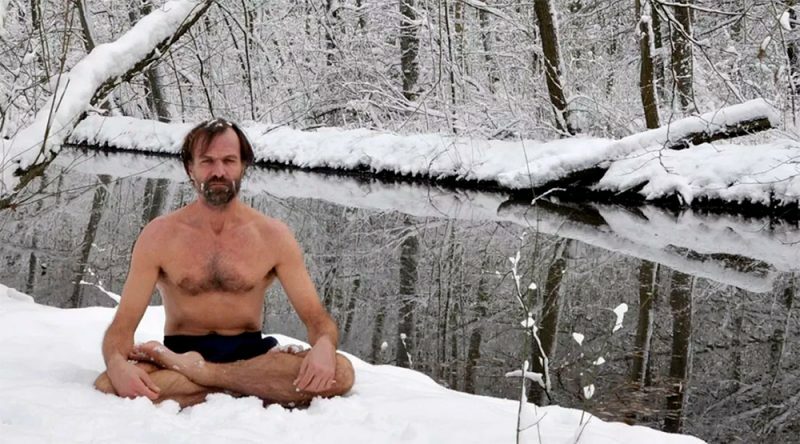 “The Ice Man.” If you are stoked on breath work, living life to the fullest, and taking your health and wellness into your own hands, you will love Wim Hof! He is one of the few to really back up breath work claims with solid scientific studies, and has put his method to the test. The benefits of the Wim Hof method are unreal; the combination of breath work, cold exposure, and commitment can help people naturally and cheaply overcome serious depression and mental health issues, stress, burnout, immune disorders, insomnia, and more. This breathing exercise is best explained over video, so if you’re interested check out his YouTube channel and hear the breathing exercise explained by the master himself!